With summer time comes a season of picnics, pool parties, and backyard barbecues. We just set up new patio furniture and a new grill on our back deck and have already grilled three times in the past couple of weeks. 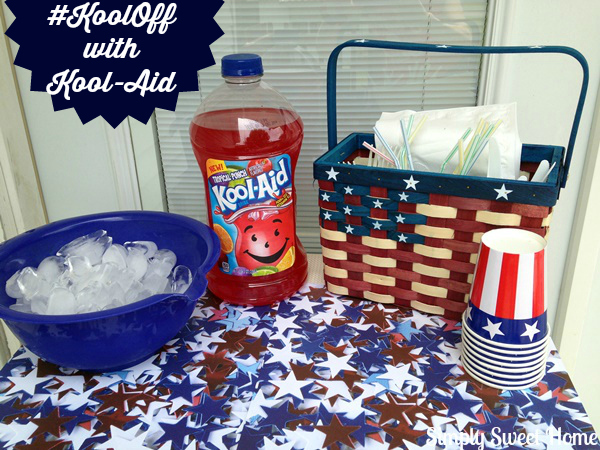 If you’re planning any backyard barbecues yourself, Kool-Aid can certainly help you out with some cool drinks and refreshments. Without a doubt, I’m sure you are familiar with the Kool-Aid powders, Jammers, and other products. But did you know Kool-Aid also comes in a Ready to Drink 96 ounce bottle? I recently shopped at Walmart, where I found the bottles in Tropical Punch, Grape, and Watermelon. Many Walmart locations now have these in a large display in store. My store did not have the display, but I still managed to find the bottles. 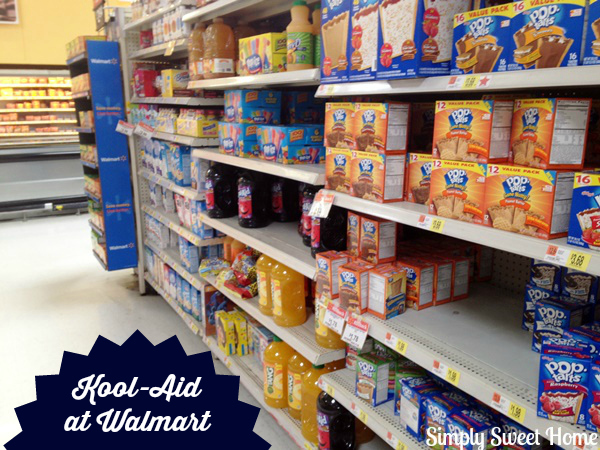 They were actually a couple of aisles away from the other Kool-Aid products. I found them at the end of the breakfast aisle with the popsicles and some other drinks. So if you don’t see the display in your store, just keep your eyes peeled! The 96 oz Ready-to-Drink bottles are a great choice, especially for parties and picnics. It is very convenient because there is no mixing involved, so you can buy one bottle or several bottles and just use what you need. And you can serve it cold from the fridge or just pour it over ice. It is also a great value at about $2 a bottle. Over the weekend, I started preparing some cool summer treats to help beat the heat, and Kool-Aid was on the ingredients list. 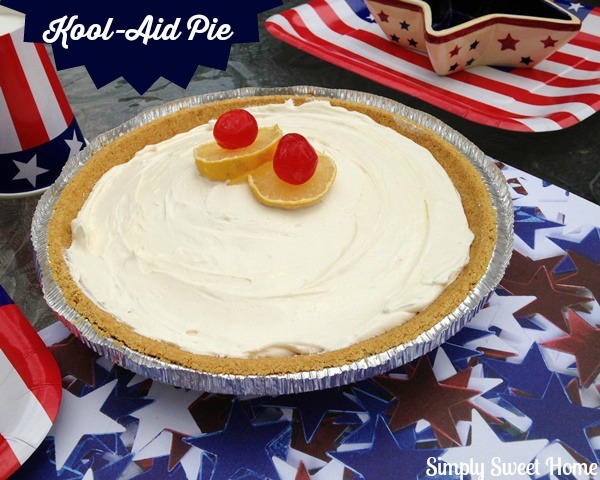 Today I’m sharing my recipes for Kool-Aid Pie and Kool-Aid Tropical Fruit Pops. Directions: In a bowl, add Kool-Aid packet to sweetened condensed milk. Stir until Kool-Aid Mix is dissolved. Slowly add whipped topping and stir until well combined. 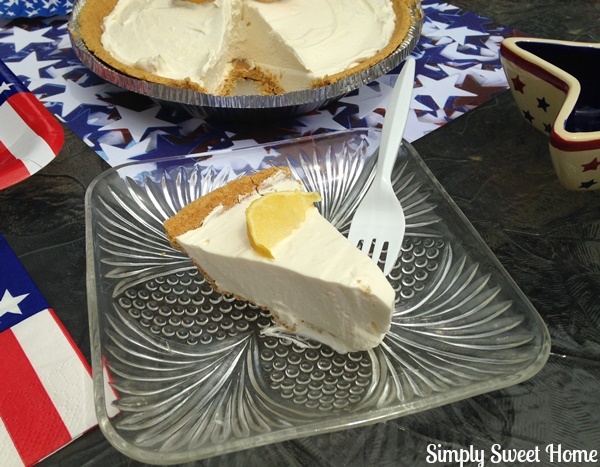 Pour in to pie crust and chill in the refrigerator until ready to serve. Keep left overs refrigerated. Tips: Garnish with fruit such as lemon slices and cherry. If you want to serve a fruit-filled dessert, use 1/2 cup of chopped berries (fresh or frozen), and add to mixture before pouring in to pie shell. Or you may use fresh berries or a can of fruit pie filling as a topping. I also made a batch of Kool-Aid Tropical Fruit pops. These are delicious, yet guilt-free snack option that are great for the kids, but adults will love too. 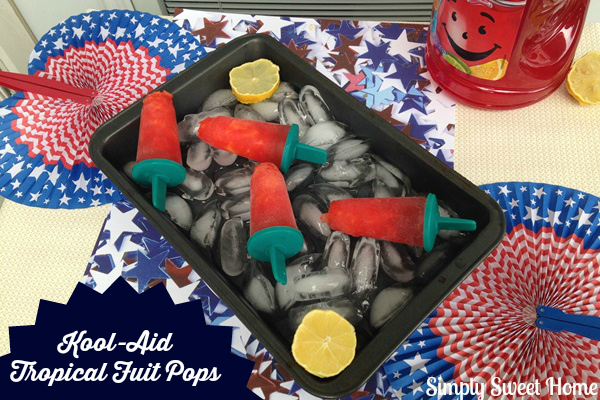 Directions: Pour Kool-Aid in to popsicle molds till they are 1/2 full to almost full depending on how much fruit you want). Add pieces of crushed pineapple to popsicle mold until it is full. 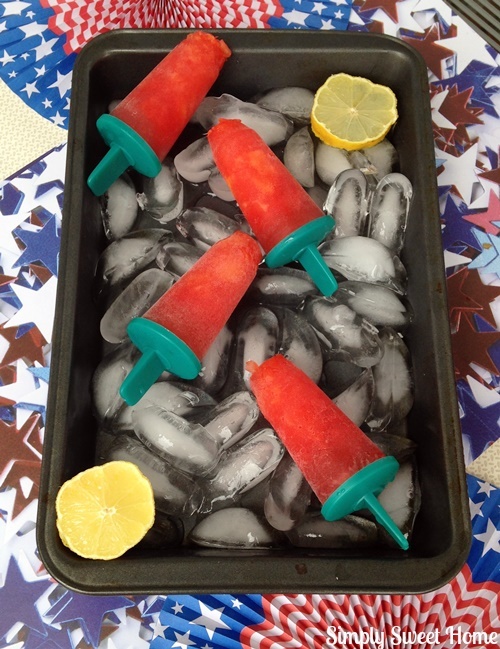 (For my popsicles I used about 1/4 cup of Kool-Aid and just a few pieces of pineapple, but measurements will vary, depending on the size of your molds and the exact consistency you want. Tips: Keep in mind, the liquid will expand when frozen, so if you fill them too full, they will leak out, and you will have a mess. However, at the same time, you have to make sure the molds are full so they will freeze to the popsicle sticks. I advise filling them just below the top of the molds, and then place them on a sheet in the freezer to prevent spills. Visit the Kool-Aid website for more recipes that you can make using Kool-Aid Products, and visit your local Walmart store to find the new 96 ounce jug!